Croky staat voor plezier en gezellig samenzijn. En waar is dat leuker dan op een ijsbaan? Kijk hieronder wanneer de Croky Challenge langskomt in jouw buurt. Er worden verschillende spellen gedaan met de Icebyks. Ben jij de beste Icebyk rijder en versla jij al je vrienden? Doe mee en wie weet win jij de Croky Challenge! Use barrier tape to cordon off the area of ice in use by the Icebyks when sharing an ice rink with skaters. Cones are not suitable because skaters like to skate between them! Use old car tyres on the ice to lay out a nice race circuit with both sharp corners (ideal for drifting) and more gentle bends. Ensure people do not walk on the ice unless getting on and off the Icebyk. At the ice rink entrance, use a mat to clean shoes on. Keep the tyres pumped up to 45psi / 4bar. Check at least once a day. Store the Icebyks in a dry place. Feel free to use pictures, videos etc on the Icebyk website, Facebook, Twitter, Instagram accounts. Use the hashtag #icebyk so other people, including Team Icebyk, can help you promote and share your event. And most important of all: have fun!! The Icebyk season starts on 2 October with demos and races at the Uithof in The Hague. 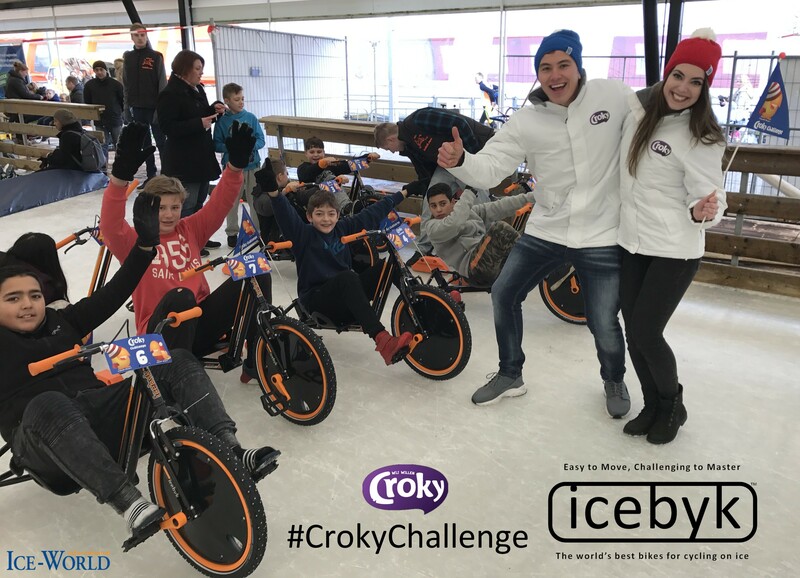 In October we will be putting the new Icebyk by Ice-World through its paces; an essential step on the way to introducing this fantastic new product to the mobile Ice-World rinks. After The Hague we move on to the Innovation in Sport congress in Dusseldorf, followed by events in Breda, Alkmaar and Heerenveen. Check out the agenda in the right-hand margin for details. And we have room for more bookings, so fill in the contact form if you need to spice up your ice! We are excited to announce the formation of Team Icebyk. 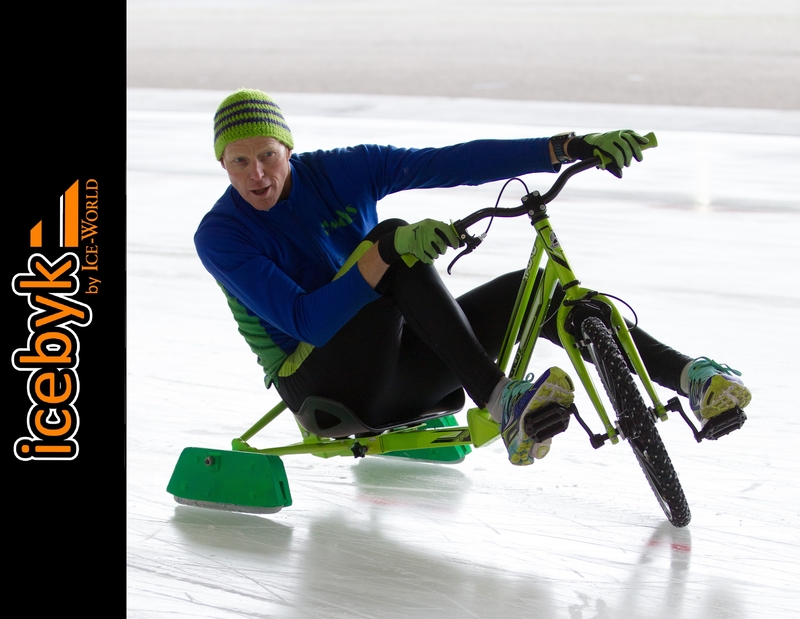 Ice-World International are taking over the development, production and distribution of the Icebyk Drift Trike; and Team Icebyk will focus on running the events and futher innovation. This season we are organising the Icebyk Challenge Series for the first time: demonstrations plus informal (but organised) racing for all-comers. 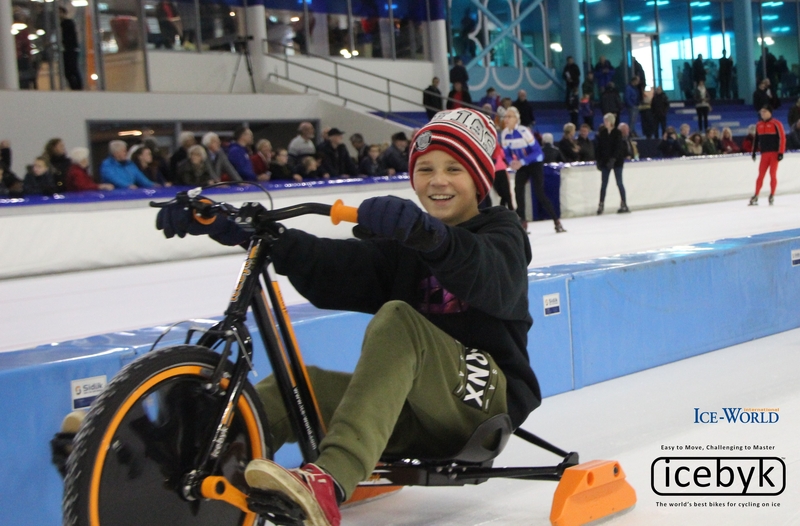 Starting with the ice rink open days (see Events), we will move on to dedicated Icebyk events and of course round off the season with the ever popular Icebyk Championships. We are looking for an extra sponsor or 2 for the series, so please get in touch via the contact form if you want to get involved. Cash is nice of course but we will just spend it on hiring ice, event promotion, expenses and logistics. So if you can help in any of these ways, that would be fantastic! And if you want to book Team Icebyk to add some excitement to your event or company/team outing – let’s hear from you! 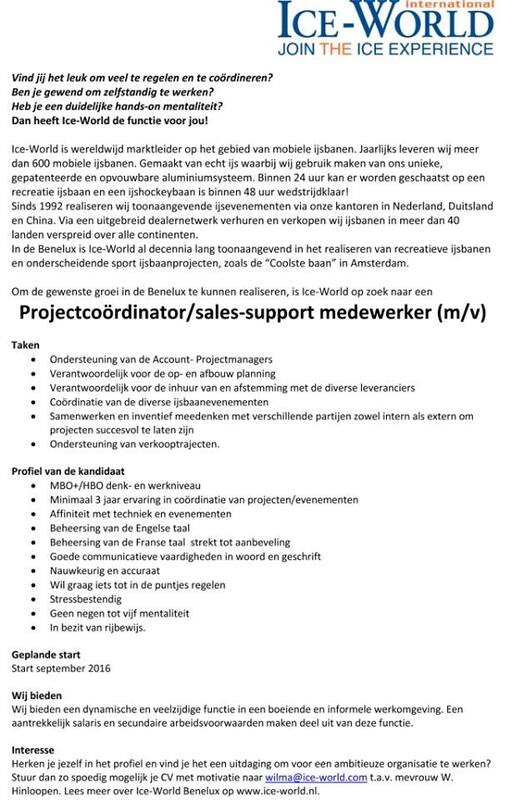 Ice-World International are looking for a new project coordinator / sales support employee. See below/ click on image for details..